Blue Isle Studios unconventional path to success began with failure. As a longtime modder and aspiring game developer, Alex Tintor created Blue Isle Studios right out of college in 2010. He recruited Brenden Frank, an old friend from his Command and Conquer modding days, to join him at his newly created studio where they could begin their journey as game developers. They started with what they knew best, making mods. Yet out of the blue a new opportunity arrived. While browsing the Unity 3D forums Alex saw a thread from Mark Hadley – creator of the viral hit Slender: The Eight Pages – looking for help to make Slender’s sequel. Alex jumped at the opportunity and reached out to Mark. “I got on the phone and pitched to him. I said 'Look Mark we can take your really strong gameplay mechanic and turn it into a fully featured commercial title’,” says Alex. Impressed with their pitch, Mark agreed and the team set off on a three year development process culminating in the release of Slender: The Arrival on PC in 2013, Xbox 360 and Playstation 3 in 2014, and on Xbox One, PS4, and Wii U in 2015. Slender: The Arrival was a commercial success. 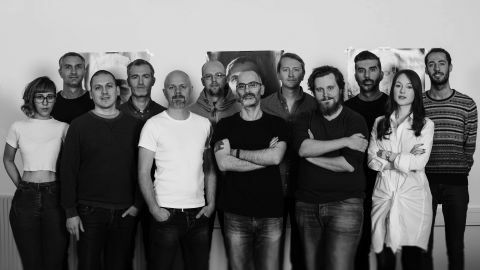 The game’s sales have funded their next project and allowed the studio to grow its team from three to eleven members. With the upcoming release of their second title Valley on the horizon, the team has been focused on fine-tuning a unique experience vastly different from anything they’ve created so far. Valley was born out of a desire to do something totally different. Valley is a first-person adventure game set in a secluded valley in the Rocky Mountains. Players discover the L.E.A.F. suit: an exoskeleton that grants exceptional speed and agility along with the ability to manipulate life and death of all living things. With the L.E.A.F suit you can run and jump through beautiful forests, dangerous ruins and vast environments. At the same you can utilize the power to control life and death to uncover the secrets of the mysterious valley. Valley’s gameplay revolve around two core mechanics: 1.) Freedom of movement 2.) Controlling life and death. 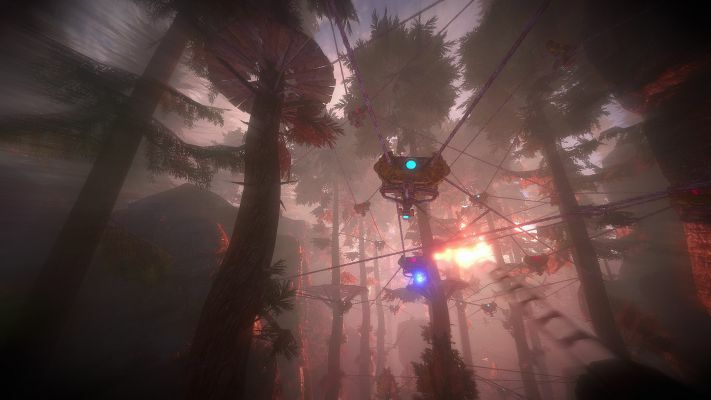 First-person platformers are generally difficult to implement successfully, so the team is focused on making sure movement and exploration is as fun as possible. “You can soar through the air with jumping ability,” says Alex. “ You can also use the viper coil, and swing through the environment.” The team wants to tie movement mechanics together seamlessly to give the player a robust control scheme and a fun, dynamic experience. Life and death plays an important role in player progression in Valley. “As you navigate the world, you need energy. You can collect energy by taking lives of living things,” says Alex. "For example, to take a big leap to get past a certain area of the game a player can take life from a deer or a nearby tree.” Interestingly this mechanic is also extended to player death. “The more you die in the game world. The more the world dies around you,” says Alex. For players this creates a dilemma where progression often comes at the cost of negatively impacting the environment. At the same time the game’s art style is directly tied to the game’s mechanic of manipulating life and death. “When you start, the game world is bright and vibrant,” says Alex. “As you take life, things become deadened and darkened.” The game’s constantly changing environment and evocative art style was chosen to provide a dichotomy between life and death. Similarly, with first-person platformers often regarded as ‘clunky’, the team looked to Mirror’s Edge as an example of what was possible. 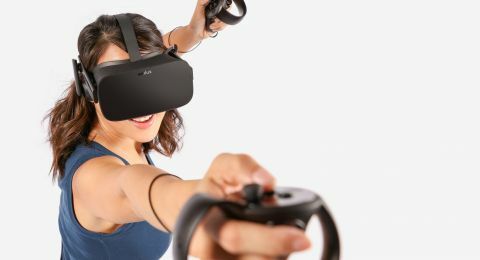 “It showed that first person locomotion could be fun,” says Alex. Freedom of movement was critical to the gameplay of Valley and surprisingly the freewheeling gameplay of Sonic the Hedgehog also served as another point of inspiration. 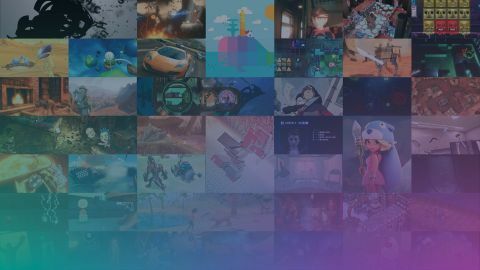 After three years of development, the team is preparing for the launch of Valley this summer for Steam, Playstation 4, and Xbox One. At the end of the day the team is still focused on making a fun, memorable experience for their players. I want people to have their own moments of discovery. Unite Melbourne Made with Unity Showcase Lineup Announced!